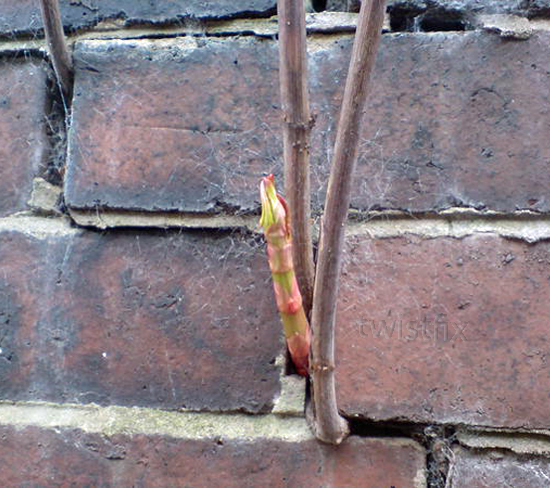 Japanese knotweed is the single most invasive plant species within the UK. Introduced to the UK by a Victorian horti­cul­turist and intended to feed cattle, Japanese knotweed quickly spread around the UK where it easily overtook native species in the battle for light, water, nutrients and other resources. In Japan, a combination of natural factors including fungus and insects keeps the knotweed population under control. In the UK however, knotweed has no natural enemy and so can quickly overtake an entire area, growing at a rate of 10cm every day in any type of soil. A brittle formation allows the weed to break into tiny fragments, each of which is then capable of creating a new plant. The dense foliage clumps can reach up to 3m in height but the worst problem remains out of sight under the ground. A deep root system mirrors the height on the surface, extending downward to a depth of 3m. The outward extension of the system is even more dramatic, reaching 7m in all directions causing cracks in walls, drains, underground services and threatening the very foundations of surrounding structures. 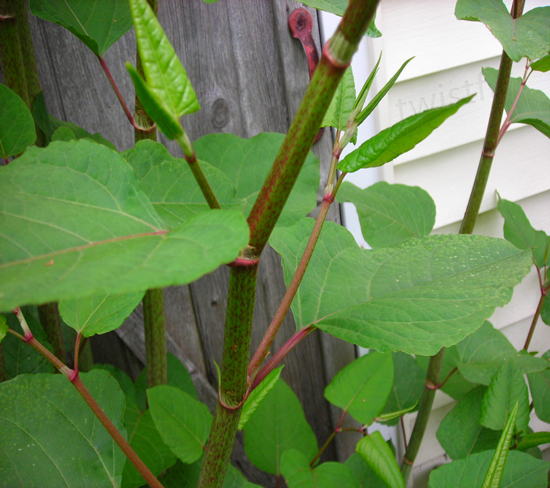 As Japanese knotweed is so damaging, several laws surround its control and disposal. It is not an offence for the weed to be on your property but if you allow it to spread, something that is difficult to avoid, you will be legally responsible for the cost of any damage caused as a result. Purposely spreading the weed is a criminal offence, as is not disposing of it as 'controlled waste' under the Environmental Protection Act. To remove Japanese knotweed, along with a range of other hardy weeds, certified professionals choose Roundup Pro Biactive. The effective weed control formula is used extensively by local councils and grounds maintenance staff for the quick and safe removal of weeds in non-agricultural areas and has been developed and engineered to provide maximum safety to both the operator and environment. 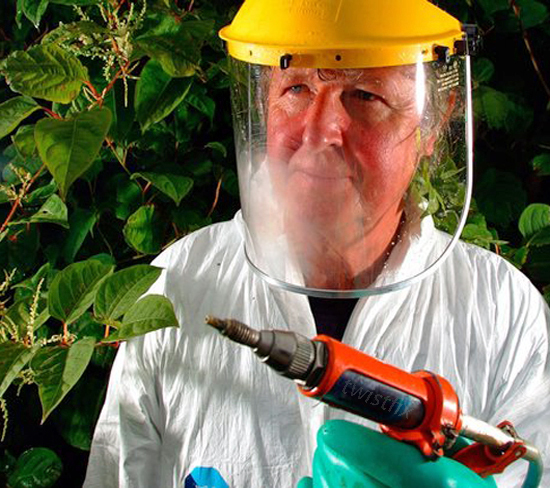 This effective herbicide treatment for the chemical control of knotweed is suitable for use by a qualified person wearing the appropriate protective clothing. 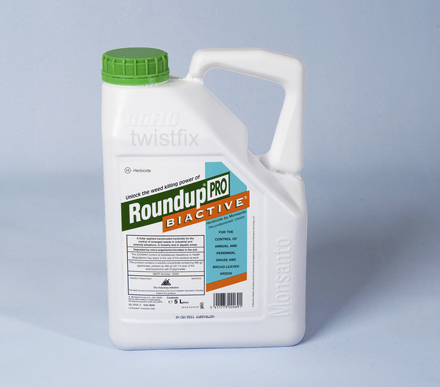 Until the end of May, Twistfix are offering a £5 discount on Roundup Pro-Biactive, bringing the already-competitive price down to just £49.95. For more information on Twistfix grounds maintenance, damp proofing, wall ties and masonry crack repair solutions, please contact our customer service team on 0845 123 6006 or email us at sales@twistfix.co.uk.